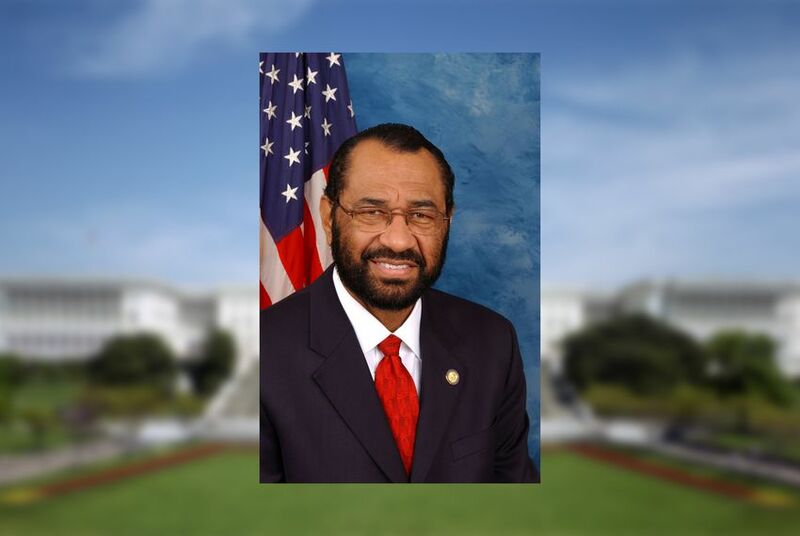 U.S. Rep. Al Green, a Houston Democrat, called for the impeachment of President Donald Trump Wednesday morning during a speech from the floor of the U.S. House. WASHINGTON — Amid multiple scandals rocking the Capitol, U.S. Rep. Al Green, D-Houston, called for the impeachment of President Donald Trump from the House chamber on Wednesday morning. "I rise today, Mr. Speaker, to call for the impeachment of the president of the United States of America for obstruction of justice," he said. "I do not do this for political purposes ... I do this because I believe in the great ideals this country stands for: liberty and justice for all. "Our democracy is at risk ... This offense has occurred before our very eyes," he said, describing Trump's firing of former FBI Director James Comey, who led an investigation of Trump associates' ties to Russian intelligence. "We cannot allow this to go unchecked. The president is not above the law," he added. "It is time for the American people to weigh in." While Green had previously called for impeachment in a news conference earlier this week, he shined a brighter spotlight on his position Wednesday by reiterating it from the floor of the House of Representatives at a time when the push for independent investigations into Trump appear to be picking up steam. Despite Green's passion Wednesday, his speech is unlikely to spur immediate action. Green is not a member of the House Judiciary Committee, which would oversee such a proceeding. And he is a member of the Democratic minority, which has little power to move ahead on investigations or to begin proceedings to remove the president from office. Democratic leadership sources on Capitol Hill also say they are urging restraint within the caucus because they need Republican buy-in for a special prosecutor or independent commission. "I have not talked to another person in Congress," he said. "This is about my position. This is about what I believe." Texans in Congress spent Tuesday processing a series of stunning political revelations, as President Donald Trump's presidency becomes more embattled.